Hahaha I haven't stopped laughing all weekend. Thanks I needed one more laugh before defending Drew Tatusko's position on scripture against Ken Silva's. That's really funny! You can get a lot done with two broads. 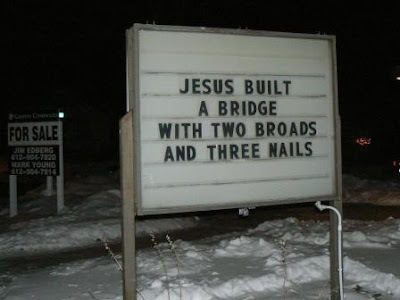 Then Jesus sold the bridge to the religulous.